Founded in 1836; the City of Wilmington, IL laid along the Gulf, Mobile, and Ohio's mainline from Chicago, IL to St. Louis, MO. This became better known as the Joliet Subdivision in modern times. The GM&O had a rich and thriving history up to the point of its merger with the Illinois Central Railroad. The resulting Illinois Central Gulf Railroad operated the line with trackage rights to the St. Louis Southwestern Railroad. It was not long that the ICG revoked ownership, but not entirely. To this day, the Canadian National (parent company to IC) operates portions with the majority owned and operated by the Union Pacific Railroad. (successor to SSW) Wilmington is home to a few curves in the Joliet sub and had a nice depot with local industries. Currently few industries remain and the depot has been since demolished as of 2012. In fact, in light of future projects, Wilmington will be undergoing several new positive changes. GM&Os well-established fast-passenger service continues as this line is host of the Illinois High Speed Rail project. As such, the route through Wilmington has been upgraded and will be seeing the installation of a secondary mainline along with complete signal overhauling. Like all other railroads, the Chicago and Alton had a depot in Wilmington, IL. This depot was always small and was placed on a super-elevated curve though town. It was situated right along Chicago and Kankakee Streets. 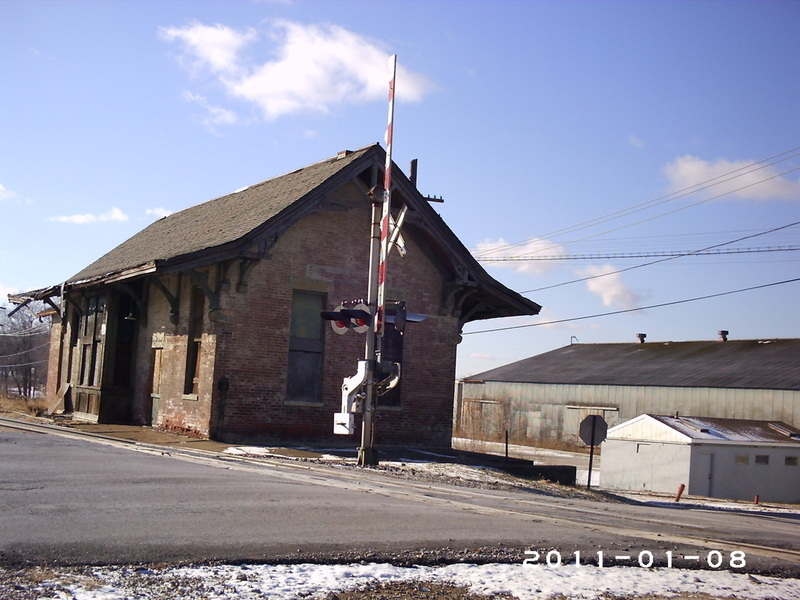 The depot was torn down in 2012 as well as some remaining telegraph poles.